The ski industry is a weird, weird world. Despite the fact that women make up 40% of the skiing population, the industry still seems to have difficulty figuring out what, exactly, to do with that segment of the market. For example, a quick Google search for “female skier” yields this pathetic first result: “The 10 Hottest Women in Freeskiing”. “The 25 Hottest Female Winter Sports Athletes” and “Hottest Women Alpine Skiers at 2014 Winter Olympics in Sochi” also made appearances on the first page of the search—for those keeping track, this means that 3 of the 10 search results focused on something that has exactly nothing to do with talent, skill, athletic achievements, or you know—any of the stuff that actually has to do with skiing. The search for “female snowboarder” proved to be only slightly better: two of the ten first page search results focused on hotness (first result: “The 20 Hottest Female Professional Snowboarders”). So when a film like Pretty Faces comes along, only one word comes to mind: finally. 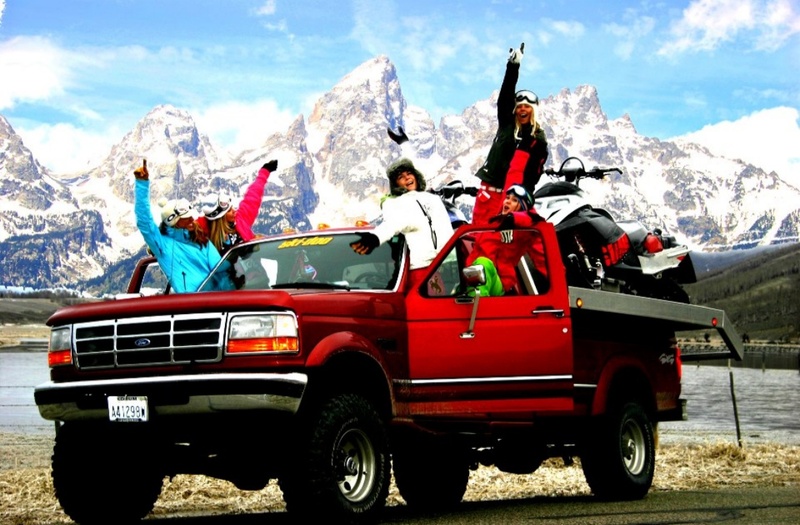 Finally, a film that showcases talented female skiers and snowboarders. Finally, something in the mainstream ski and snowboard industry that celebrates athleticism over attractiveness. Finally, a ski film that inspires girls and women to learn to ski, to love to ski, and to become great at the sport. 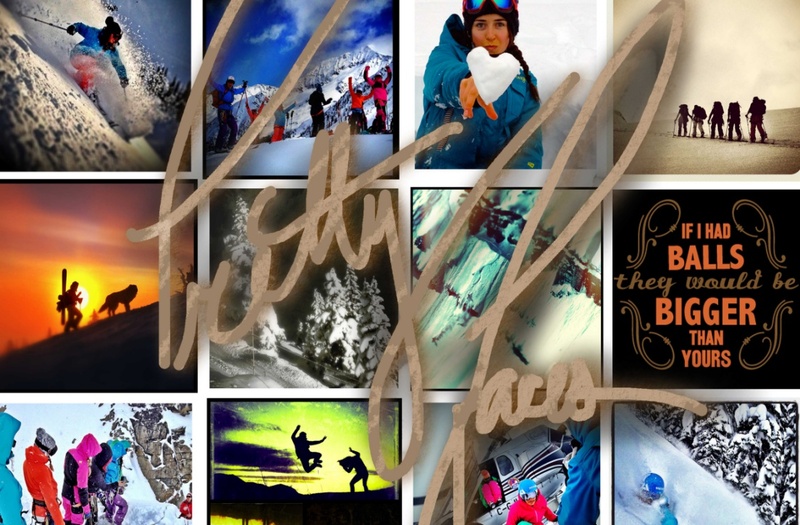 Pretty Faces first started making waves in December 2013, when a Kickstarter campaign was launched with the goal of raising $60,000 towards the production of a film that tells “the story of a skiergirl”. Pro big mountain skier Lynsey Dyer spearheaded the project with the aim of celebrating everything that women have accomplished in the mountains, all while inspiring girls and women of all ages to develop a love for mountain sports. More than 1,000 individuals backed the campaign, contributing a total of $113,534 to help bring Pretty Faces to life. And now, nearly a year later, the project is nearing completion. Editing is in its final stages (with Lynsey herself making some of the final adjustments), the teaser has been dropped, and the world premiere in Boulder, Colorado is just a few weeks away (the event takes place on September 30). Judging by the success of the Kickstarter campaign and the hype surrounding the new trailer, the world is more than ready for a quality all-female ski movie. One can hope that the attention Pretty Faces is garnering will be a wake up call to the ski industry, inspiring a shift from male-centric to everybody-centric. Indeed, many companies in the industry have already shown their support by backing the project, including REI, GoPro, and Smith Optics. You can do your part by watching Pretty Faces when it comes out (and by hooting and hollering loudly at the crazy airs, gnarly powder, and other awesome parts of the film). The official film tour doesn’t include any Canadian stops, but don’t let that stop you from throwing your own unofficial viewing party.